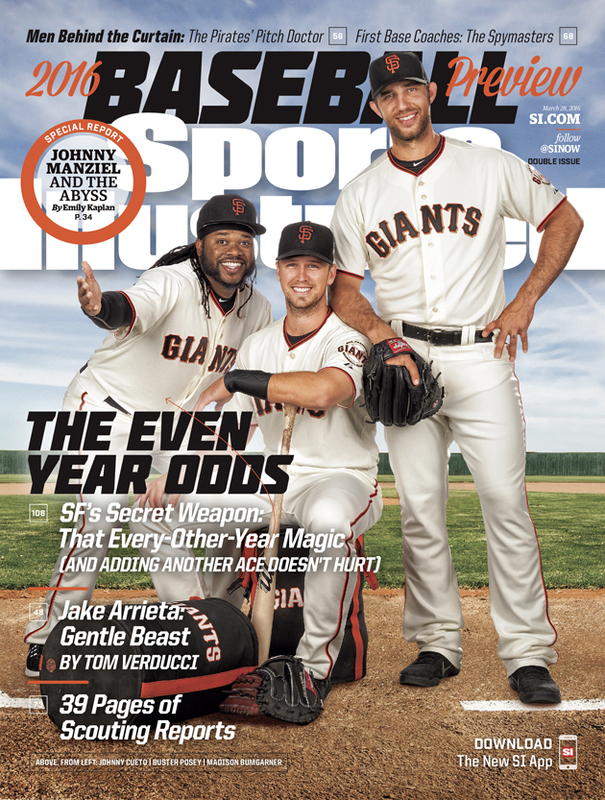 Sports Illustrated reveals its picks to win each division and the World Series in the baseball preview issue. 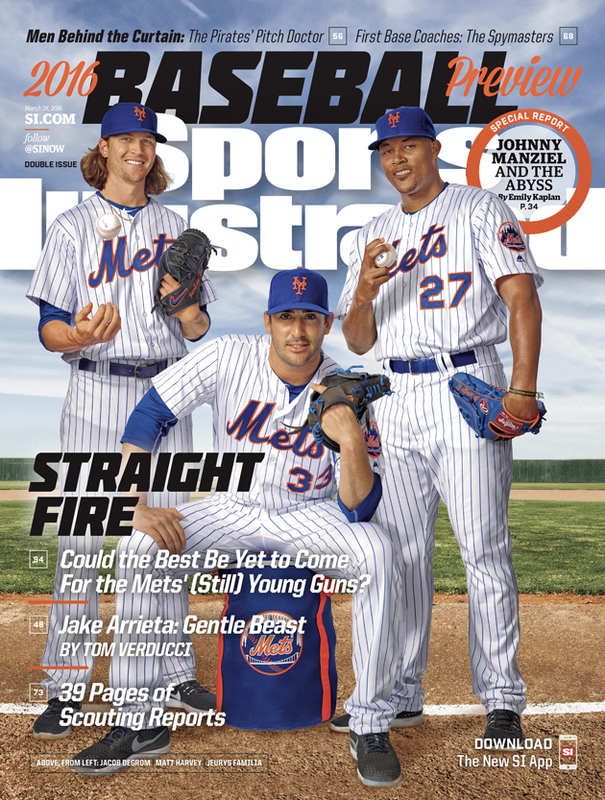 Four of Sports Illustrated’s projected playoff teams are featured on the covers of the baseball preview issue. 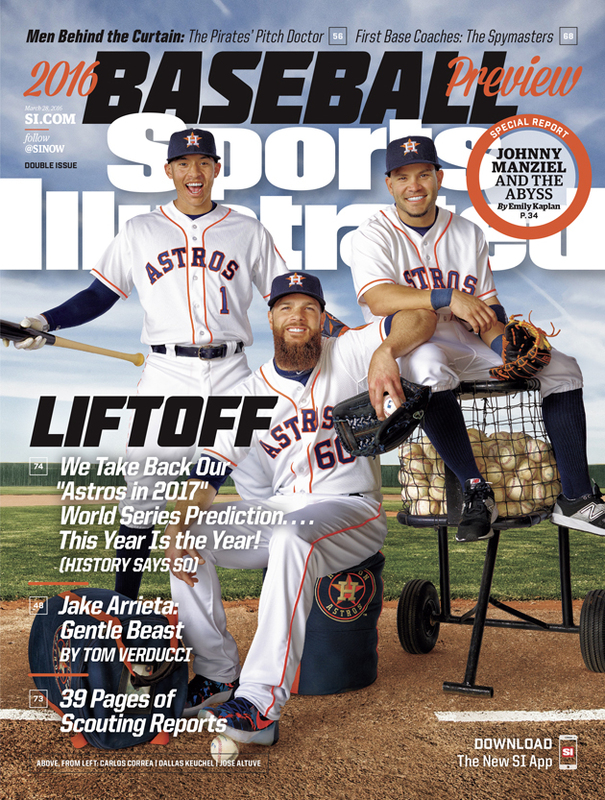 The Houston Astros, SI’s pick to win the World Series, are represented on the cover by Carlos Correa, Dallas Keuchel and Jose Altuve. Chicago Cubs Anthony Rizzo, Jason Heyward, Kris Bryant and Jake Arrieta are projected to be the NL Central winners and the World Series runners-up. 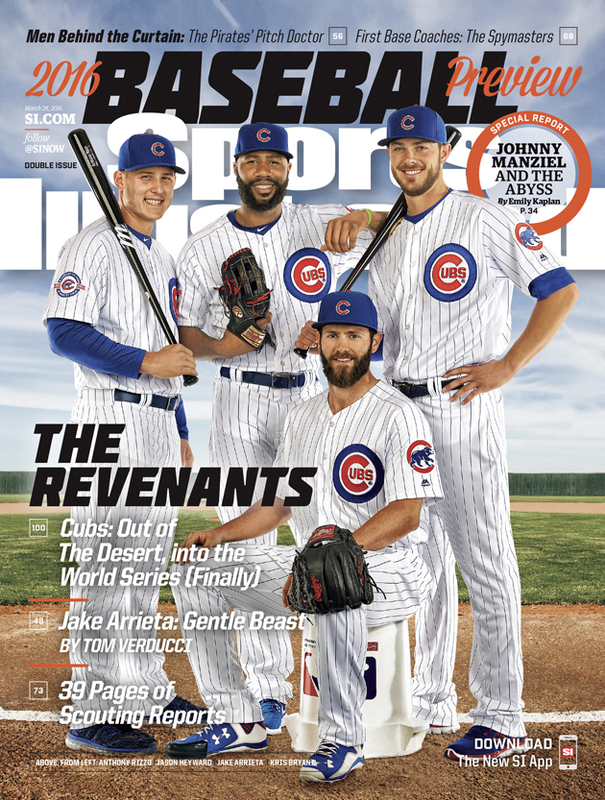 Their cover is accompanied by a Tom Verducci profile of 2015 Cy Young winner Arrieta. Matt Harvey, Jacob deGrom and Jeurys Familia of the New York Mets are SI’s NL East winners, and though the Dodgers are projected to finish over the Giants, Johnny Cueto, Buster Posey and Madison Bumgarner are predicted to earn San Francisco a wild-card berth. This issue contains 39 pages of MLB scouting reports, a feature on Pirates “pitch doctor” and coach Ray Searage, along with a special report by Emily Kaplan on the fall of Johnny Manziel. Cubs: North Dakota, South Dakota, Nebraska, Minnesota, Iowa, Wisconsin, Michigan, Indiana, Illinois, Eastern Missouri, Southern Indiana, Kentucky, Tennessee, Mississippi, Alabama, Florida, Georgia, North Carolina, South Carolina.